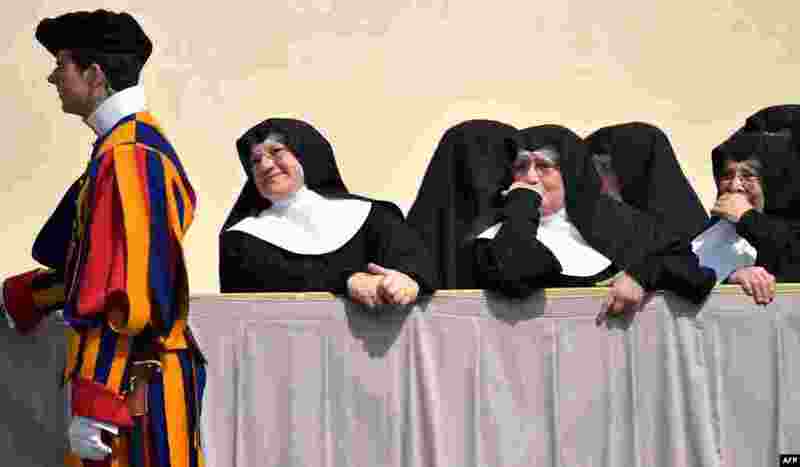 ۱ Nuns stand at St. Peter's Square at the Vatican at the end of the Pope's weekly general audience. 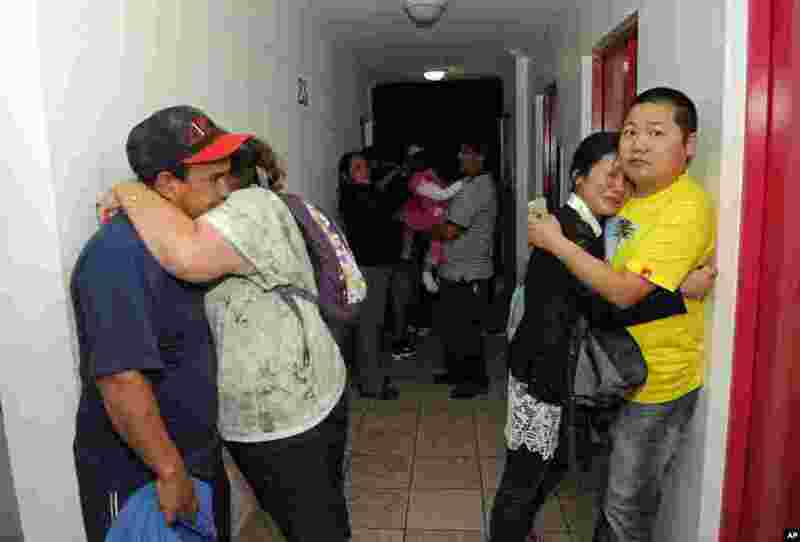 ۲ People embrace on the upper floor of an apartment building located a few blocks from the coast where they gathered to avoid a possible tsunami after a powerful magnitude-8.2 earthquake in Iquique, Chile, Apr. 1, 2014. 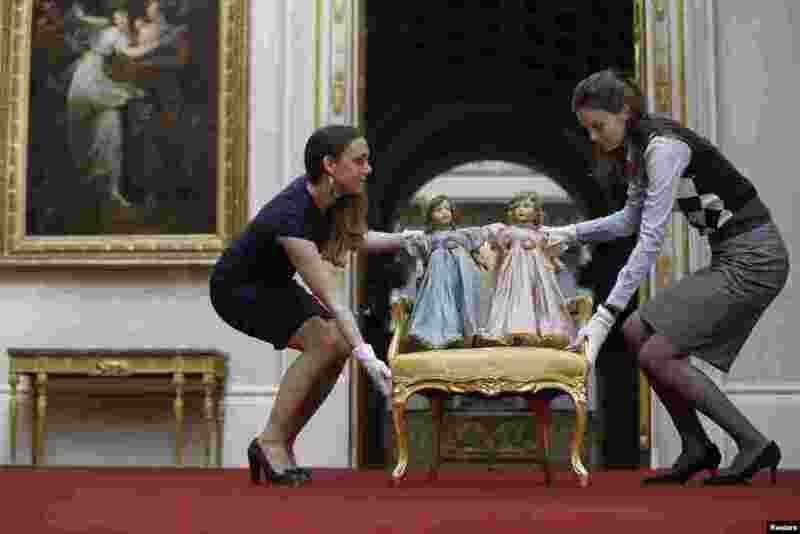 ۴ Exhibition curator Anna Reynolds (L) poses with a pair of Parisian dolls belonging to Britain's Queen Elizabeth (left doll) and her sister Princess Margaret, at Buckingham Palace in London. Toys and childhood outfits belonging to the royal family will form part of an exhibition "Royal Childhood" during the summer opening of Buckingham Palace from Jul. 26 - Sept. 28, 2014. 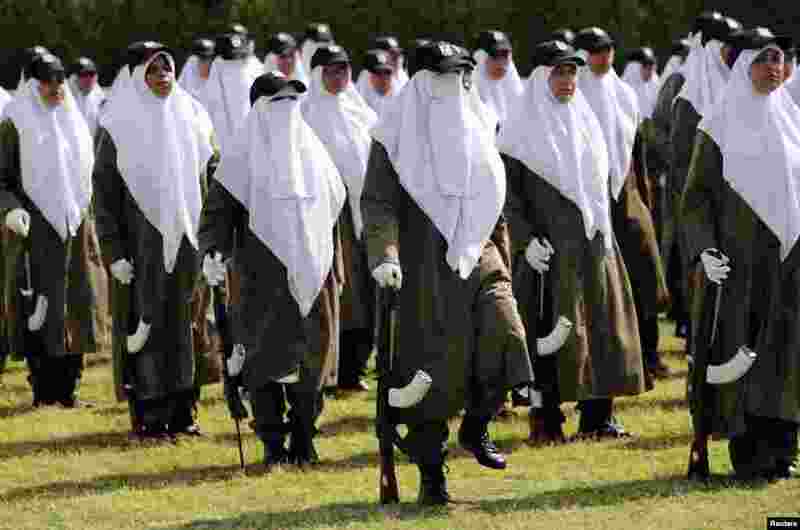 ۵ Female members of Palestinian security forces loyal to Hamas take part in a military graduation ceremony in Gaza City. 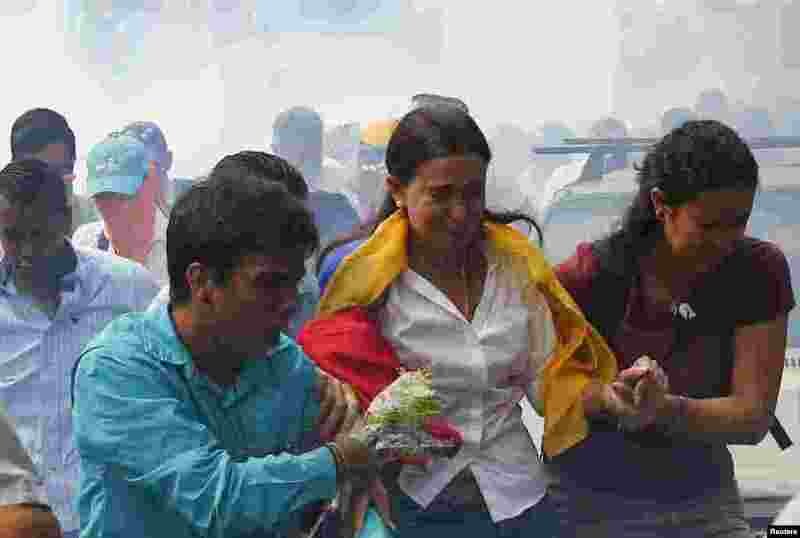 ۶ Venezuela's opposition leader Maria Corina Machado runs away from tear gas after she tried to take her seat at the national assembly in Caracas, Apr. 1, 2014. 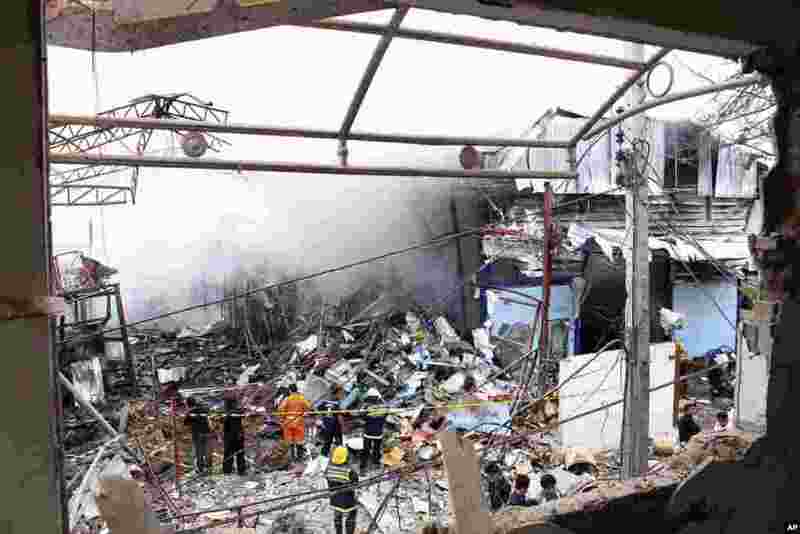 Congress last week stripped the opposition deputy of her post in parliament on charges of violation of the constitution by speaking at the Organization of American States with the backing of the Panamanian government. ۷ A boy looks at a statue by German artist HA Schult during a preview of the artist's "Trash People" exhibition at the Ariel Sharon Park near Tel Aviv, Israel. 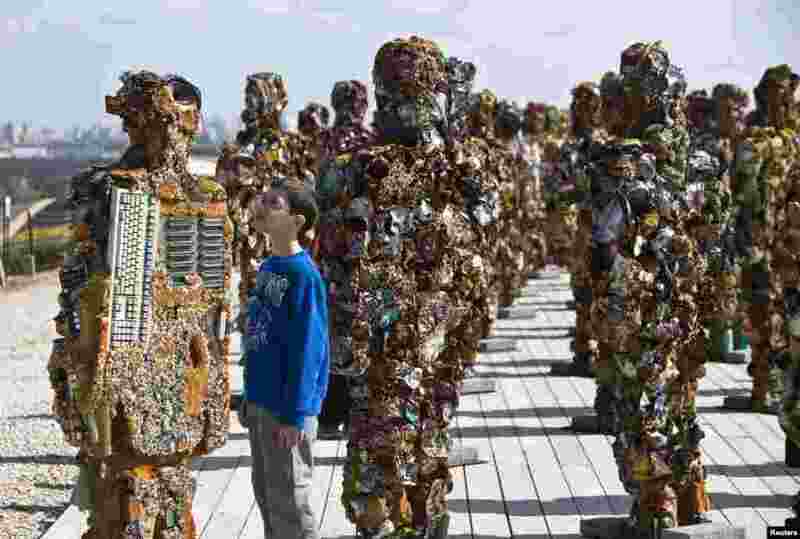 The exhibition, featuring 500 human-sized figures made from recycled materials, has been travelling worldwide for 18 years and opens this weekend near Tel Aviv. ۸ Hindu devotees break coconuts on a wooden log placed on another devotees lying on the ground as they perform a ritual during the "Danda" festival at Kulagarh village in Ganjam district in the eastern Indian state of Odisha.